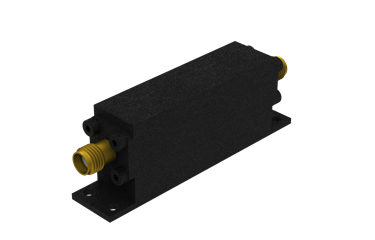 This Low Pass Filter has a passband from DC to its cutoff frequency (Fco) - customer defined between 1000 and 3000 MHz - with an insertion loss of 0.3 dB max. (0.4 dB max. at Fco). It has a stopband from 1.35 x Fco to at least 6000 MHz, with an attenuation of at least 40 dB.